When we think of comic books, we think of rich colorful graphics, heroes with super natural powers and often fantastic out of this world story lines. Comic books entertain. Guy Hassan believes comic books are not exclusive to the visual medium. And even more than that, he believes comics…Empower! 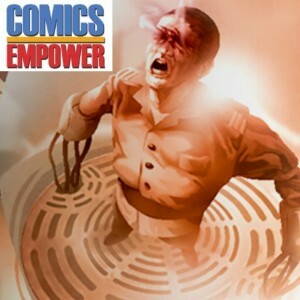 So much so that he created the website ComicsEmpower.com and launched Aurora, a series featuring a protagonist that is blind. In this latest episode of RMMR, hear the piece produced for Gatewave Radio featuring Guy Hassan. It also includes Chad Allen, one of the winners of a comic book writers contest sponsored by Comics Empower. Posted by T.Reid	on Apr 20th, 2016	and is filed under Accessibility, Audio, Blindness, Media, Visually Impaired.